Apologies as these aren't the best pics. The tank is sitting under my deck and the stand/canopy is in my garage. 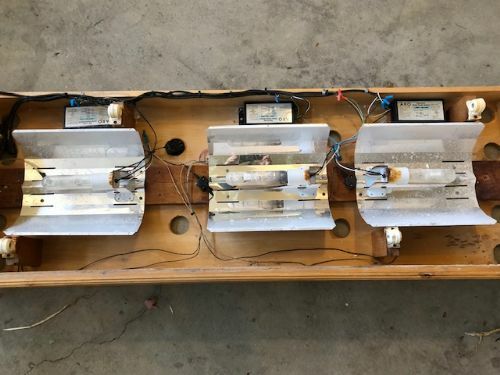 The tank has never been used, but the top and bottom black plastic frames are broken. I'm working with Aqueon to get replacements. And here are the pics. Let me know if there are any other questions. It pains me to see this go. I've been in the hobby for 10+ years now. Back in March my 46 gallon bow front's bottom fell out (running for 10+ years). 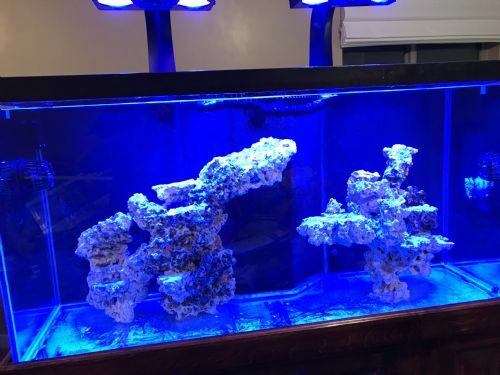 Over those years I've been slowly accumulating the equipment to run this 210g tank, but after the damage caused by the salt water my wife says no more. 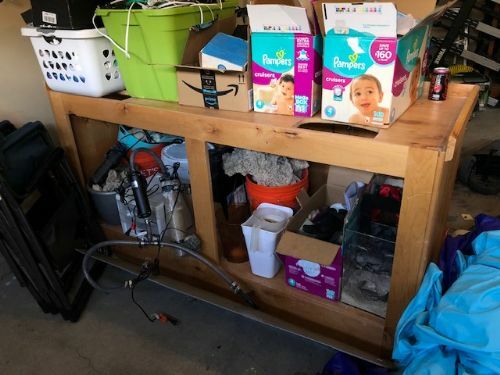 I have pretty much all the equipment to set this up, minus the plumbing and return pump. 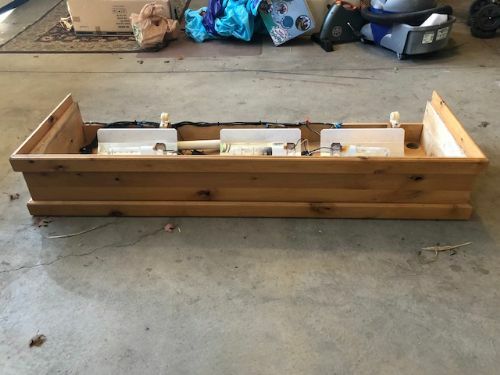 I have the lights, skimmer, sump, tank, stand, canopy, and more. So, it really depends on what a person needs. 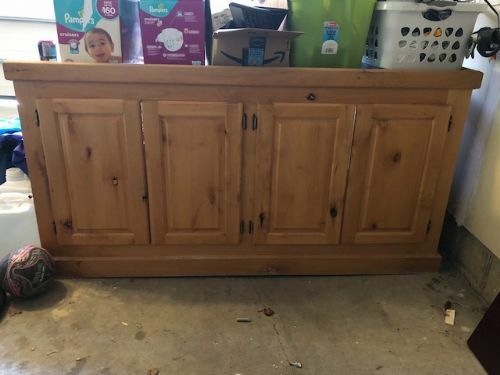 Not really sure what a fair price is. I'll start at $1,500 and consider reasonable offers. I would be somewhat worried about setting up this tank. With the plastic being broken which is an expensive and difficult job to fix AND knowing the tank has sat dry a while. I don't know, man. 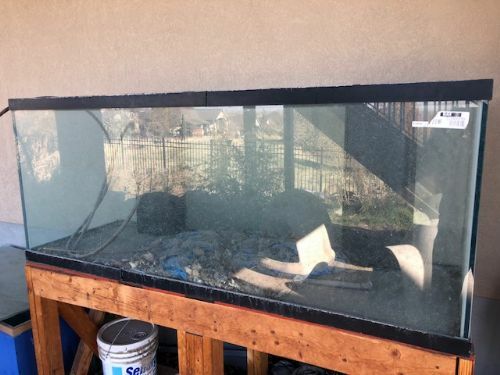 I don't mean to ruin your sale here, but interested buyers should know there's some risk using this tank. 200 gallons of water on your floor will ruin your day. I don't disagree. The integrity of the tank definitely needs to be confirmed and maybe resealed.